"It sounds as if we're killjoys," says EPL killjoy. The Premier League has warned fans who upload clips of goals to social media are in breach of copyright, ahead of the season openers this weekend. The League, which will bring in over £3 billion from television rights in the UK alone over the next few years, says it is clamping down on Vine posts and .gifs that appear soon after goals are scored. "You can understand that fans see something, they can capture it, they can share it, but ultimately it is against the law," warned the Premier League's communications chief Dan Johnson. "It's a breach of copyright and we would discourage fans from doing it, we're developing technologies like gif crawlers, Vine crawlers, working with Twitter to look to curtail this kind of activity. I know it sounds as if we're killjoys but we have to protect our intellectual property," he added. 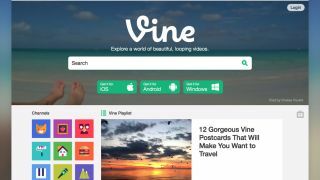 The emergence of .gif files posted to Twitter and Vine posts recorded from television coverage skirts copyright, but is the only way some viewers are experience goals before they air on Match of the Day. BT and Sky have exclusive rights to televise live games, while The Sun and The Times offer users the chance to watch goals almost instantly through their mobile apps at a cost of £7 a month. The Premier League's move has been criticised heavily by those who believe modern fans are being priced out of the game due to high ticket prices and subscription television costs. Do you think the league is right to clamp down on Vine clips? Let us know your thoughts in the comments section below.